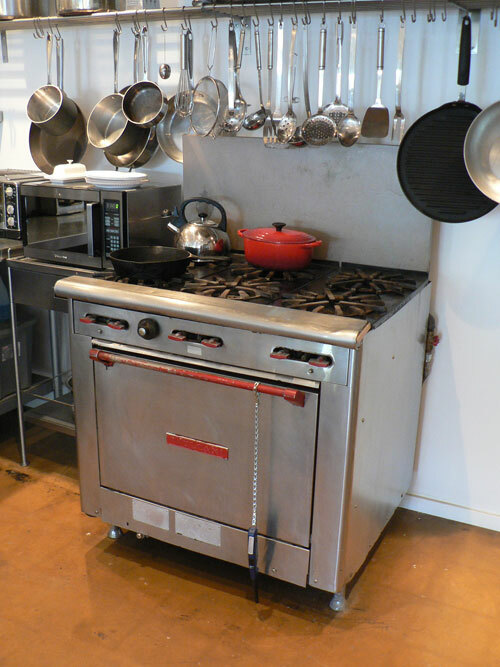 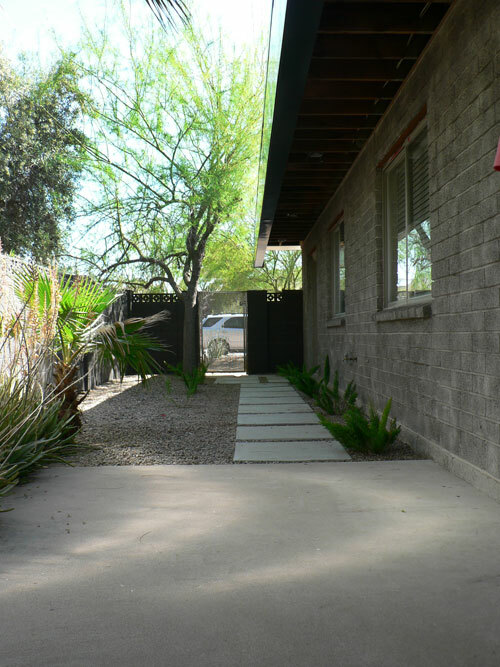 Notes: Though currently under serious remodeling, this home is well on its way to glory! 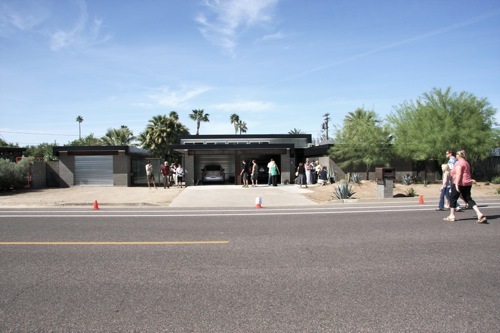 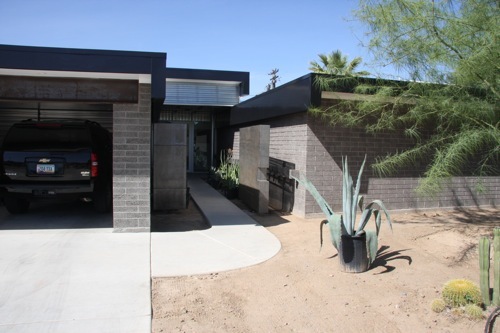 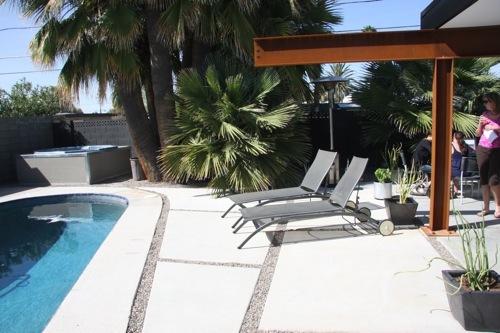 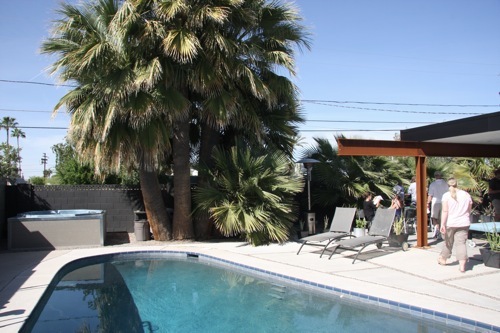 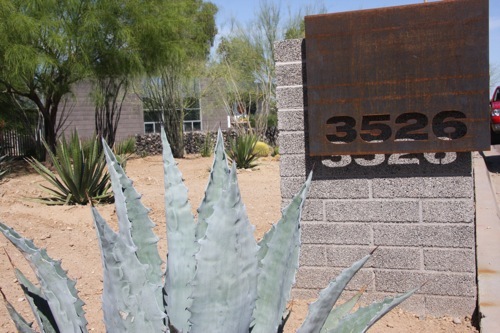 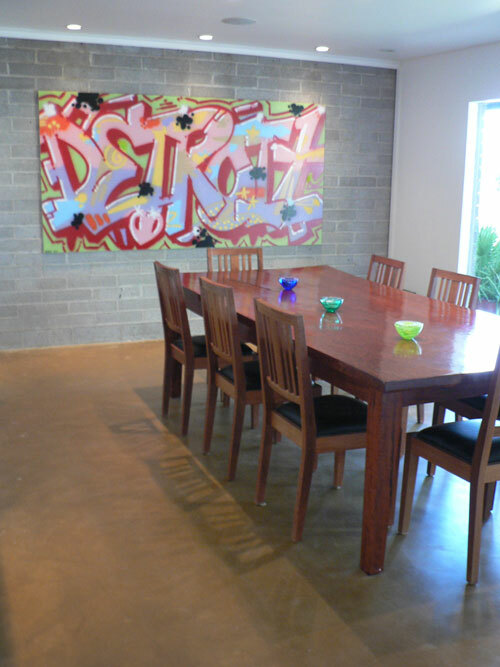 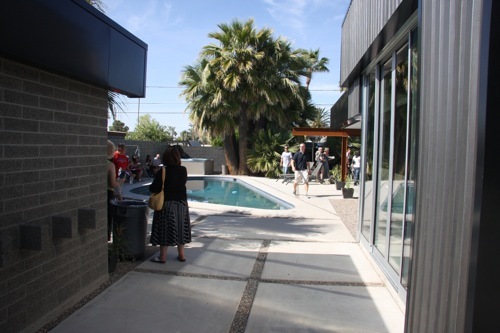 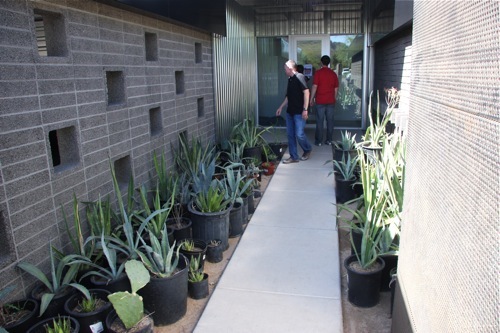 Contractor and designer Joe David has shown three other homes featuring his team's creative approach to remodeling on previous Modern Phoenix tours. 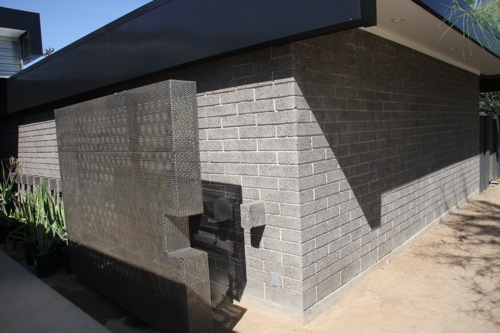 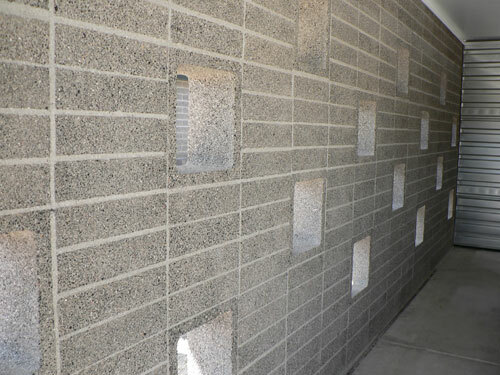 The pivot gate has a custom notch to accommodate the original brickwork. 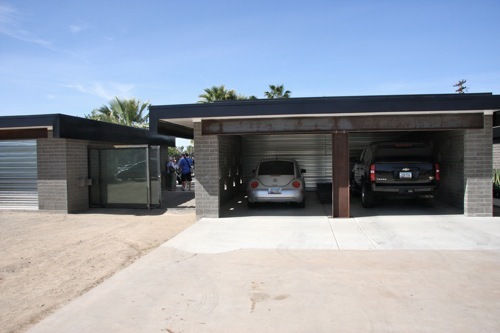 The new detatched pool cabana on the left mirrors the original brick treatment. 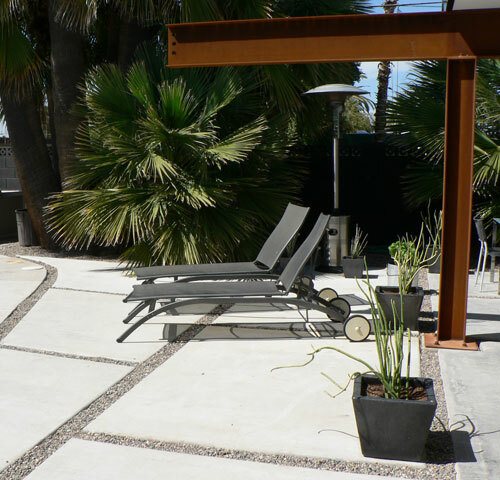 The patio shade structure features a huge steel cantilever. 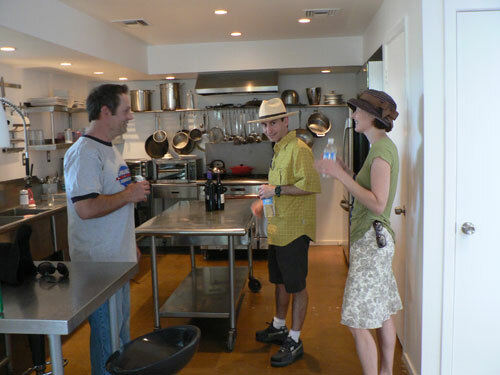 Neighbors Mike and Stacy Voloudakis get a private tour from Joe David. 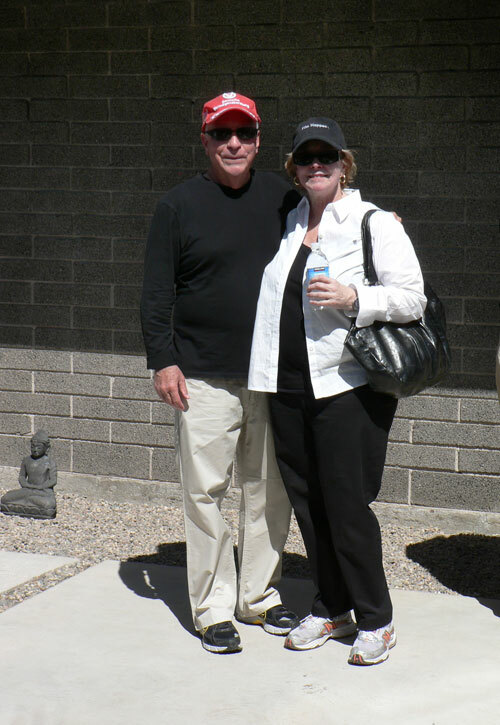 Lee Purnell and Pat McCutchan celebrate their fifth straight year of taking Modern Phoenix tours. 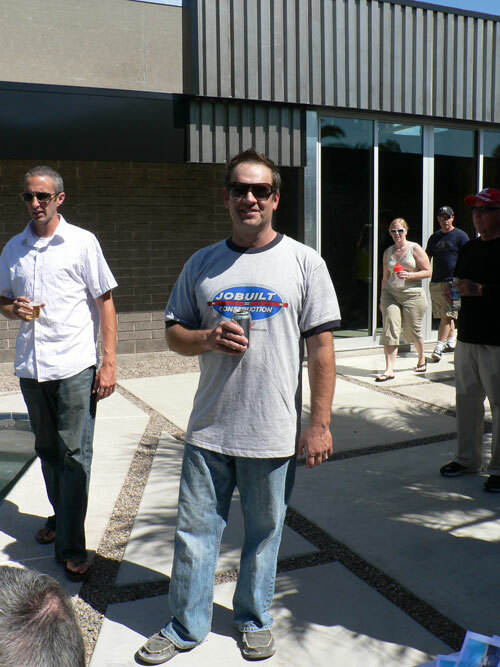 Joe David of JoBuilt Construction chilling out at the impromptu hot dog stand his company put together for the day.